Last week we had the pleasure of hosting Dr. Ben Halpern from UCSB and NCEAS for a CLOCK advisory board meeting. 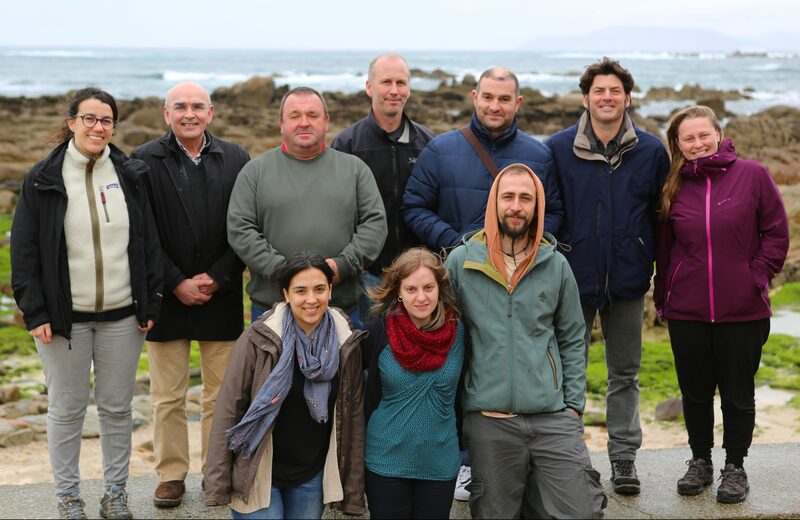 This was a wonderful opportunity for the FOL team to work directly with Ben, and for Ben to get to know Galicia and its small-scale fisheries sector first hand. Ben’s visit schedule included many meetings, networking events, and site visits. Among them was the Student Welcome Day of the DOMAR PhD program, where Ben spoke with students about postdoc opportunities in the US and gave the keynote speech of the event. With FOL, Ben visited the Port of Vigo, the mussel rafts in Vigo Bay, and Os Miñarzos Marine Reserve. At Os Miñarzos we learned about their on going efforts to expand the reserve to 100.000 hectares (picture above). For this visit FOL counted with the financial support of the University of Vigo and ECIMAT.